Read on for more about Kayla and her story, In the Valley of Stars, plus a giveaway! Kayla King is a graduate of the Mountainview MFA. She is the author of These Are the Women We Write About, a micro collection of poetry published by The Poetry Annals. 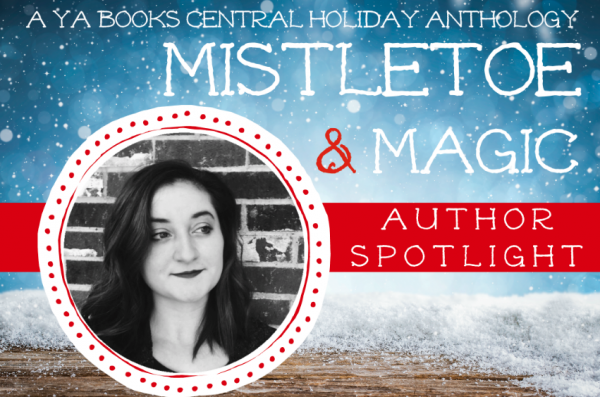 Young Adult literature is close to Kayla's heart, which makes her position as the Blog Manager for Young Adult Books Central both rewarding and so enjoyable! Kayla's fiction and poetry has been published by or is forthcoming from One For One Thousand, Germ Magazine, Five 2 One Magazine, Plath Poetry Project, Cat on a Leash Review, MockingHeart Review, Figroot Press, Souvenir Lit Journal, Dear Damsels, The Mystic Blue Review, The Green Light, Ink In Thirds Magazine, Firewords Magazine, Sobotka Literary Magazine, and Twelve Winters Press. Now in the query trenches with her YA speculative novel about dreams, Kayla is seeking representation, and dreaming bigger than ever. "Begin with a wish: For family. For love. For light." From deep within the bayou in a circle of trees, Lyra Pennoix prepares for her first Burning Day celebration. Lyra writes wishes. For family. For love. For light. But there is more than magic in the air and whispers on the wind as darkness lurks beyond the bayou. Kayla: In my current work-in-progress, there are three magical sisters who've lived for more than a century and their strange dog who prefers to drink from cups of tea. While writing, I wondered how the Weyward sisters from this story came to find their dog, and thus, the roots of this story took hold. Kayla: My debut micro collection of poetry, These Are the Women We Write About, was published by The Poetry Annals in August. Paperback copies can be found on Amazon and digital downloads are available on The Poetry Annal's website. I am currently in the query trenches with my YA speculative novel about dreams, which I conceptualized during my graduate studies during my MFA. I've since started my next novel, a story filled with darkness, heartbreak, and magic. I continue to write short stories and poetry, and published work can be found on my website and blog! Kayla: Much to my own dismay, I often judge books by their covers, making a list as I go of the covers that intrigue me most. I then look up their descriptions and narrow down my final selections from there. Graduate of the Mountainview MFA in Fiction (2016). Blog Manager at YABC, past editor and contributing writer at at One For One Thousand, and contributing writer for Germ Magazine.